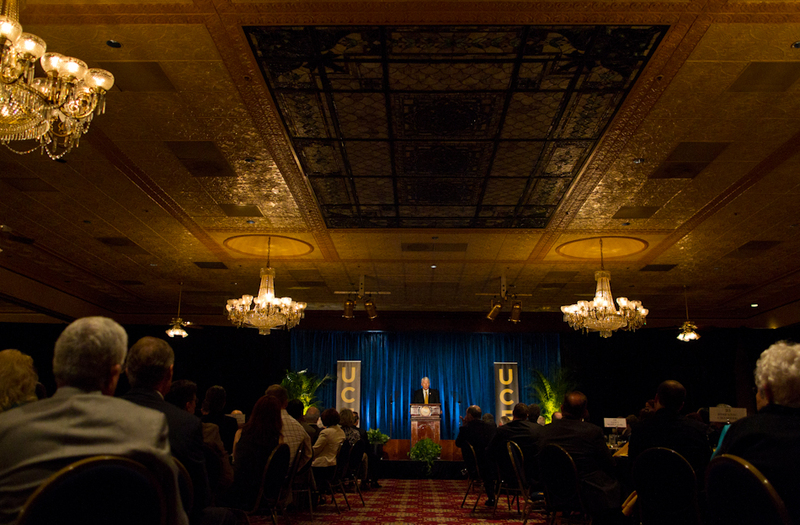 2After the president’s comments, Olga Calvet, vice chair of the Board of Trustees, presented the Hitts with a bouquet of yellow Pegasus roses and framed side-by-side aerial maps of the campus taken in 1992 and 2012. 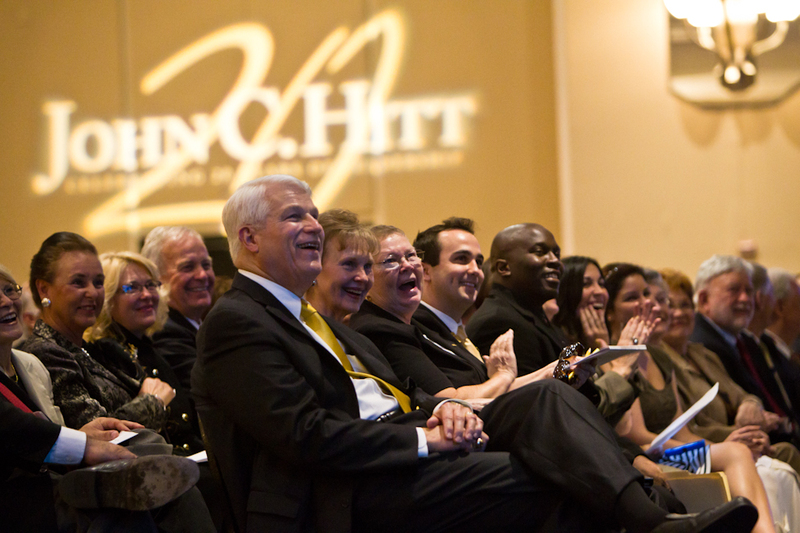 3Dr. 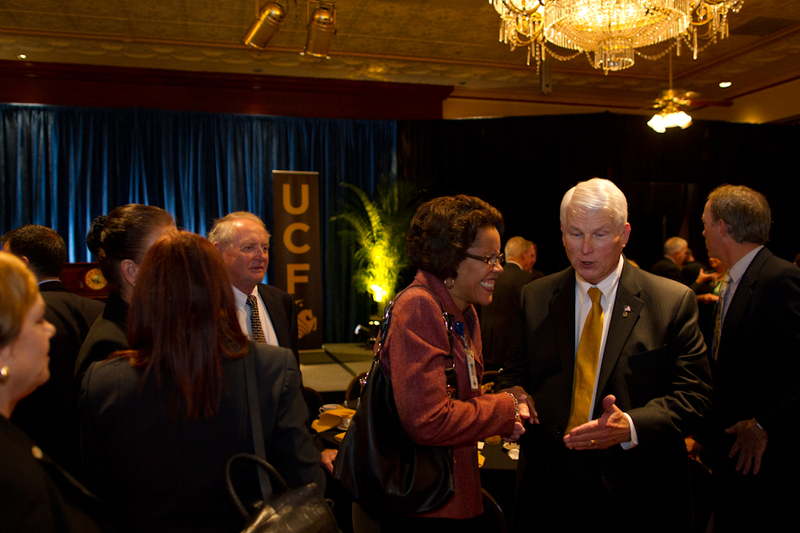 Hitt talks with faculty, staff, students and friends after the Church Street event in downtown Orlando. 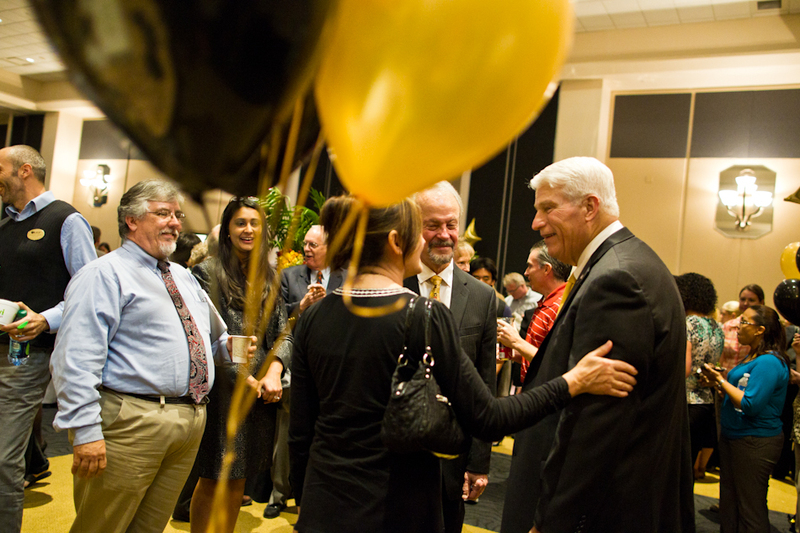 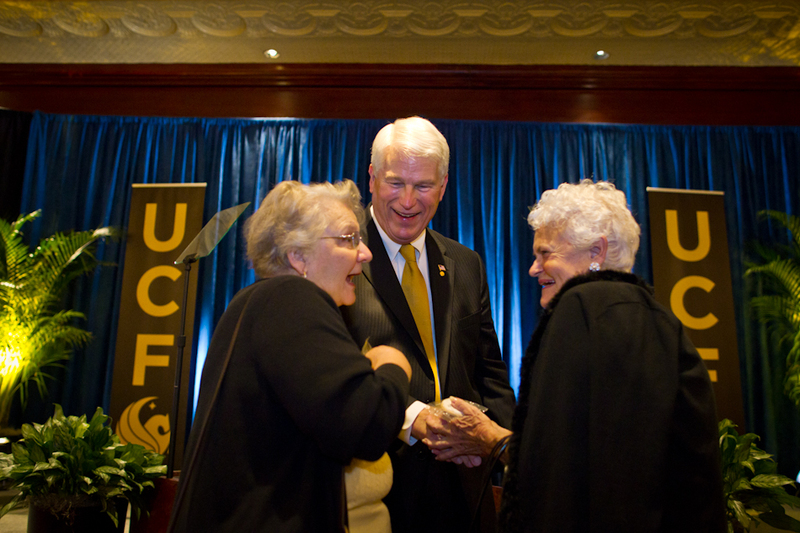 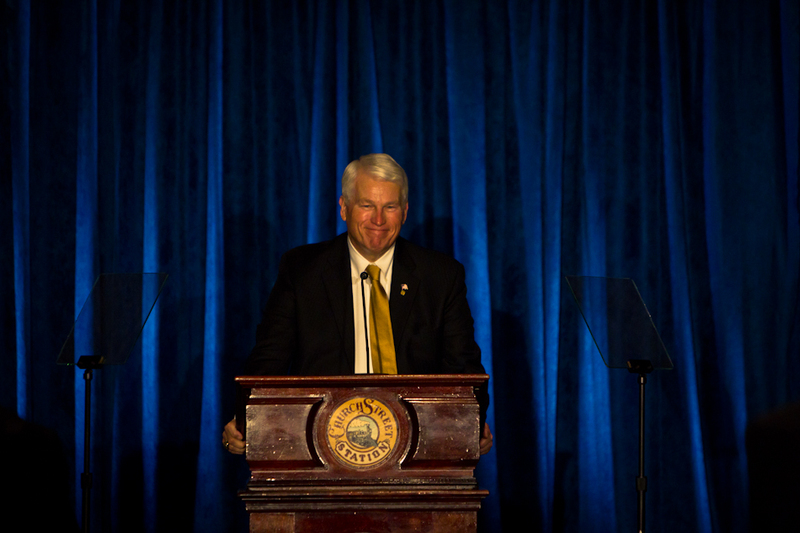 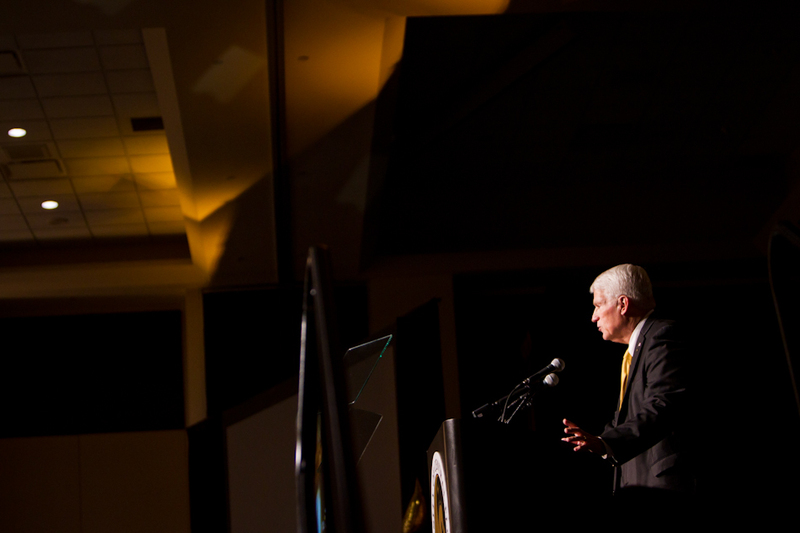 4The UCF community gave President Hitt a heartfelt thank you during a reception honoring his 20th anniversary at the helm of the university. 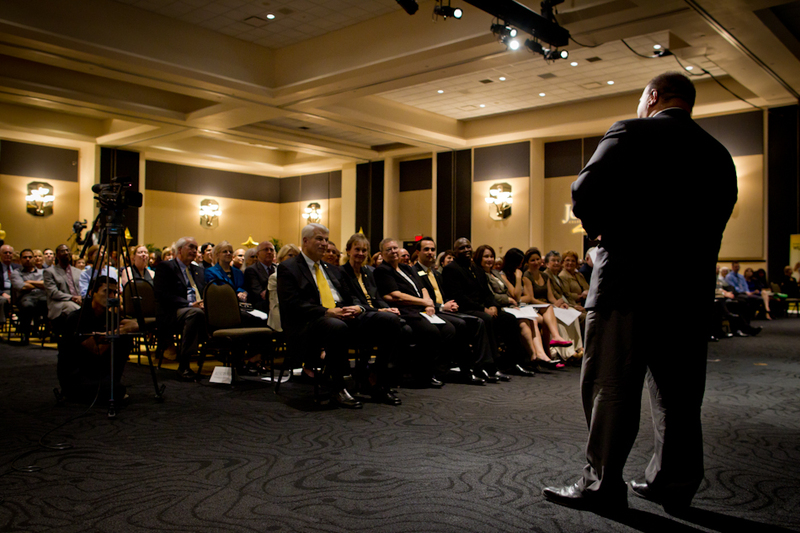 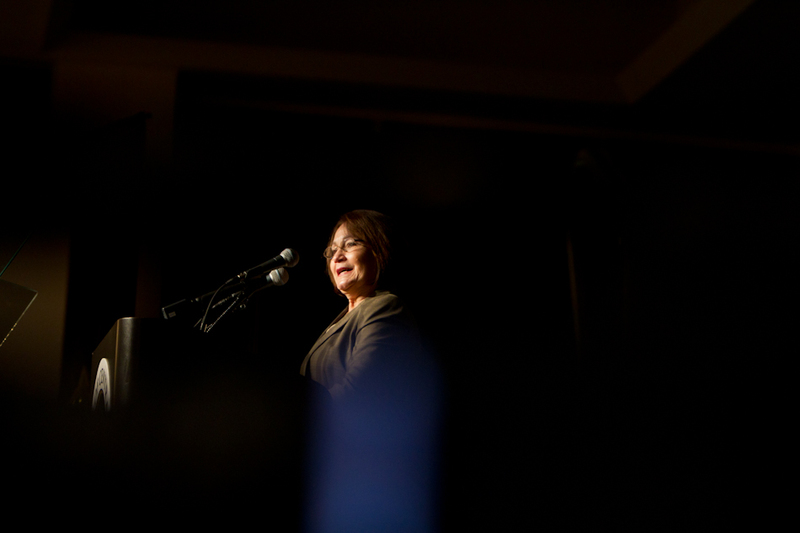 8Family, friends, faculty and friends, both in person and in video messages, praised the service and dedication of the president, who led the university to national prominence as enrollment grew from 22,000 to more than 58,500 during the past two decades.